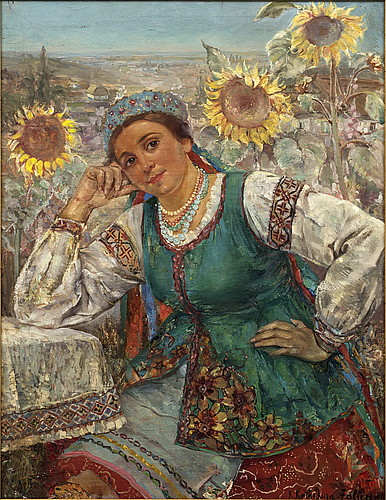 A young lady sitting among sunflowers. 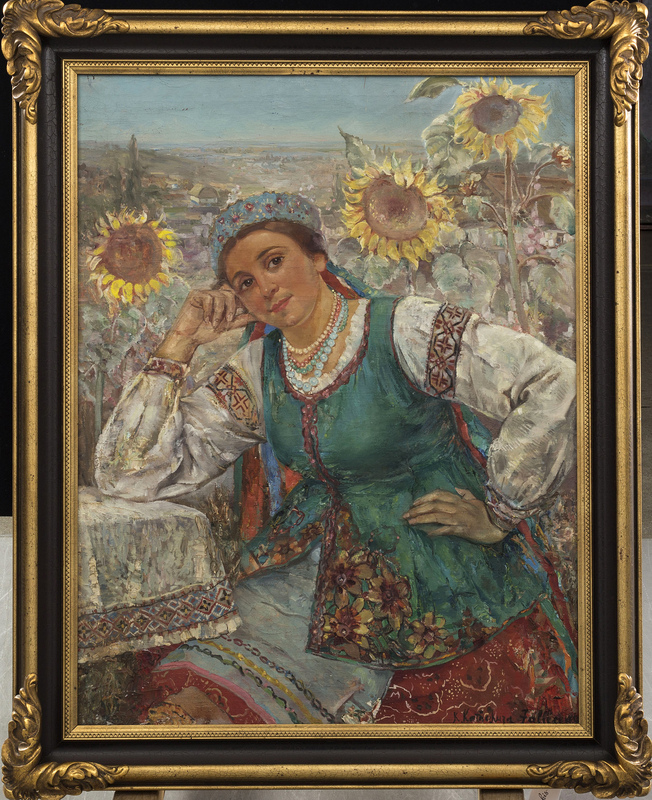 100 x 78 cm. Crazing. 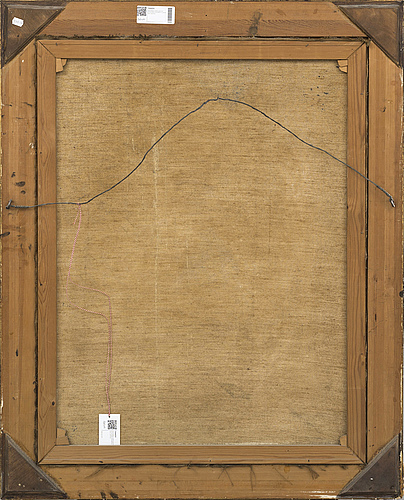 Partial loss of paint.